Unique in its kind in Paris (and the world) our partner the BILIPO, in the Latin Quarter, is a public library devoted entirely to Crime and spy literature. When James ‘Ructions’ O’Hare put together a crack team to rob the National Bank in Belfast in December 2004, even he didn’t realise he was about to carry off one of the biggest bank heists in British and Irish history. And he’ll be damned if the Provos are getting a slice of it. In Richard O’Rawe’s stunning debut novel, as audacious and well executed as Ructions’ plan to rob the National Bank itself, a new voice in Irish fiction has been unleashed that will shock, surprise and thrill as he takes you on a white-knuckle ride through Belfast’s criminal underbelly. Enter the deadly world of tiger kidnappings, kangaroo courts, money laundering, drug deals and double-crosses. Northern Heist is a roller-coaster bank robbery thriller with twists and turns from beginning to end. 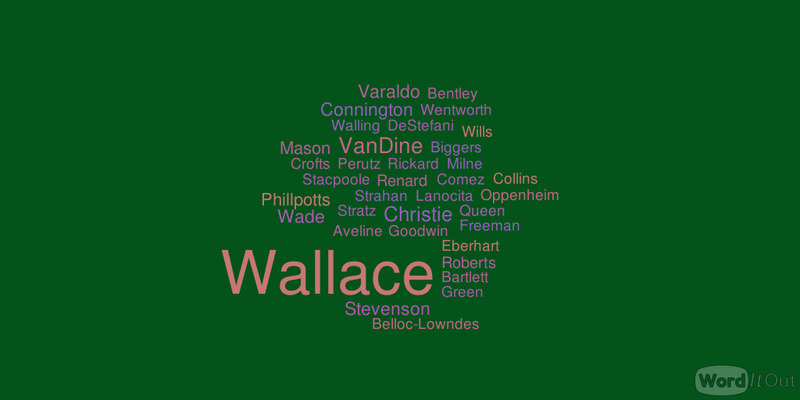 The International Crime Fiction Research Group is glad to present a new online exhibition hosted on the Omeka-based online database “Visualising Crime Fiction,” sponsored by the AHRC (the UK Arts and Humanities Research Council) and the Universities of Belfast, Limoges, and Debrecen, in partnership with the Bilipo. A Brief History of Crime Fiction in Greece was authored by Nikos Filippaios, currently a PhD student at the University of Ioannina, and provides a concise outline of the development of the genre in Greece, with particular attention to the impact of international crime fiction on the local creative industries. Filippaios starts his overview by stressing the success of the earliest translations of modern popular fiction that arrived from Western Europe in the second half of the 19th century. He then highlights the key transformations of crime narratives in Greece throughout the 20th century, particularly up to the 1980’s, when a new generation of local writers started to use the genre to investigate the troubled national history during the post-war era. 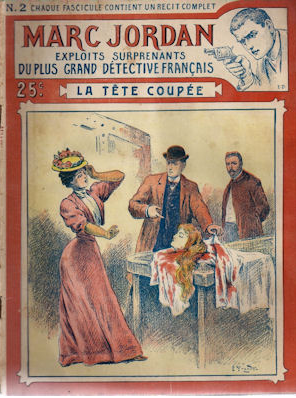 The 62 volumes of the adventures of French Amateur Detective Marc Jordan were one of the earliest French publisher’s series devoted to crime fiction . 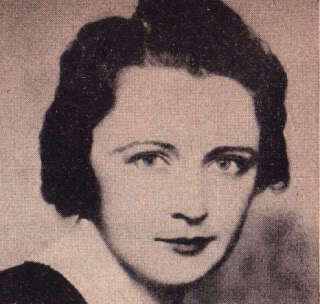 The publisher was Ferenczi, whose publishing house would soon become a cornerstone of Popular Fiction in France. From September 1907 readers could purchase every Tuesday, at a price of 25 centimes, the last instalment in the Exploits surprenants du plus grand détective Français. The following year (1908) the Éclair company, would release Nick Carter, le roi des detectives, the silent film directed by Victorin Jasset, highlighting the parallels between Marc Jordan and the American detective Nick Carter. Nick Carter Detective Library had started in 1891. Street & Smith would then publish a magazine, Nick Carter Weekly, until 1915. It was in some respects a template for Ferenczi’s Marc Jordan. The small booklet above, by prolific popular author Marcel Priollet (1884– 1960) was published in 1920. It formed part of the first (1916- 1923) “Le Roman policier” series published by Ferenczi. 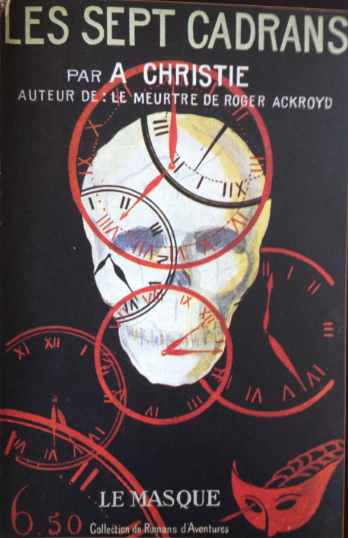 This publisher was by then well on its way to become a household name in the history of French popular literature . This is an early example of the explicit use of the concept of “Roman policier” (detective novel) in order to cach the attention of the readers. It is therefore an important indicator of the constitution of the crime genre as an autonomous, instantly recognizable entity in that period. 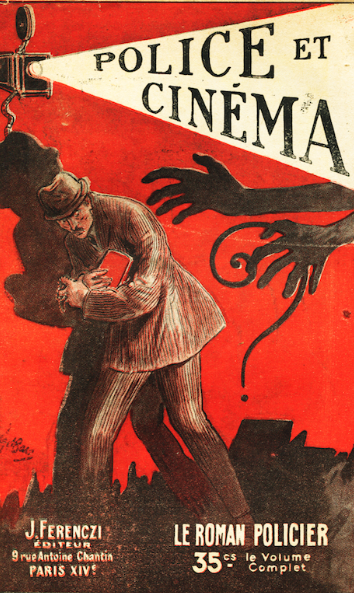 This particular booklet also demonstrates the relationship between popular literature and film. By then the exchanges between the two media have taken a new direction: after the first world war, it is cinema that will influence the detective story, rather than the reverse. «O cão amarelo», Lisboa, Empresa Nacional de Publicidade, 1939? 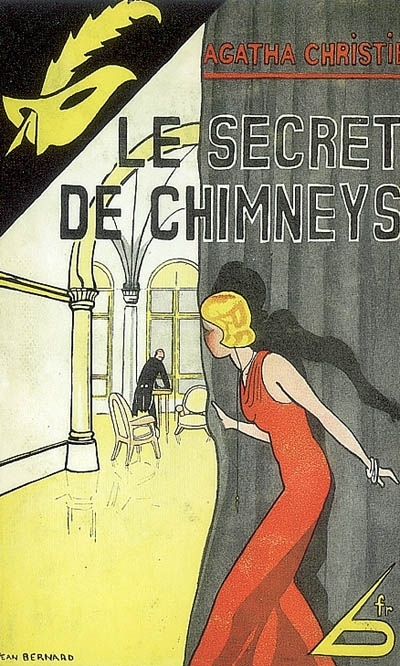 (Le Chien jaune, Fayard, 1931) First Title in the Series «Romances policiais de Georges Simenon». Georges Simenon, 1903-1989: mais do que Maigret is the title of the exhibition with which the Portuguese national library currently ( 8th January to 18th April) commemorates the 25th anniversary of Simenon’s death. The exhibition shows first Portuguese editions of his novels. These were translated in Portugal from the early 1930s’. The curators of the exhibition contribute to understand the global (and intermedia) appeal of an author who, with 550 million copies sold, ranks as the third most widely read French language writer, after Jules Verne and Alexandre Dumas. 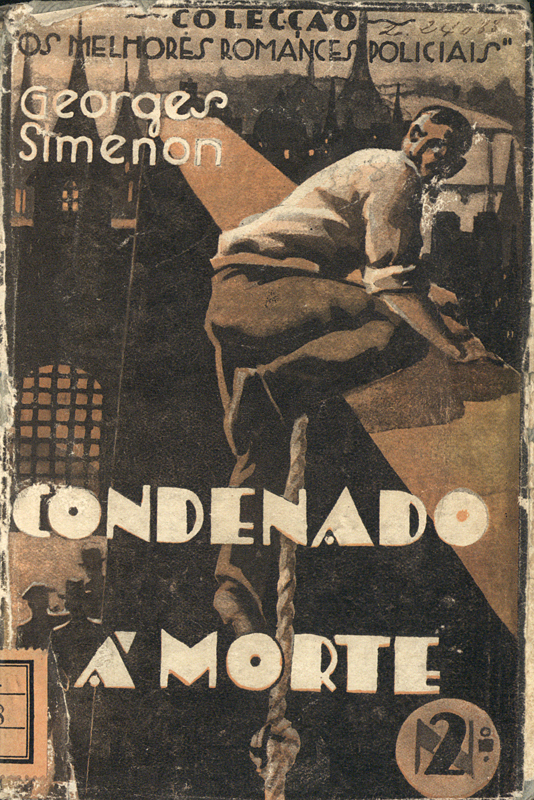 The first Portuguese translation of a work by Georges Simenon was the novel Condenado à morte (Sentenced to death, for La Tête d’un homme, 1931) , published in 1932 in the Os Melhores Romances Policiais Series, directed by Adolfo Coelho, for the publisher Clássica Editora. By the end of the decade, Simenon’s success was such that he was published in a separate series : Romances policiais de Georges Simenon (Empresa Nacional de Publicidade). 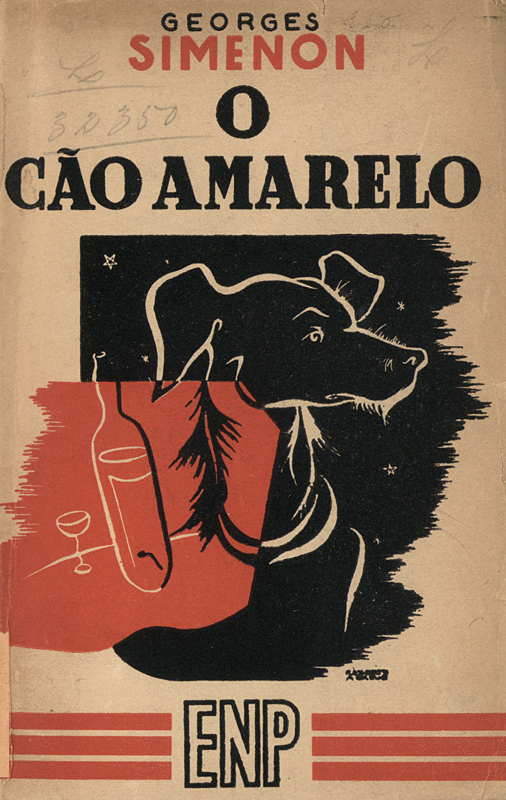 One of his most popular novels, The Yellow Dog , translated by Adolfo Casais Monteiro started the new series.